I found the pattern online, for free! here. It's just amazing the quilt patterns you can find on the web, though I do spend waaaay too long doing so… I've had to halt on the making the last couple of days as we had run out of Kona Snow, but two new bolts have just arrived today, so you can find it in stock at Sew and Quilt. A rectangle and some half square triangles! Even I could make this!! How fun! I just love the color combination in this quilt with all the different blues. Thank You for the free quilt pattern. 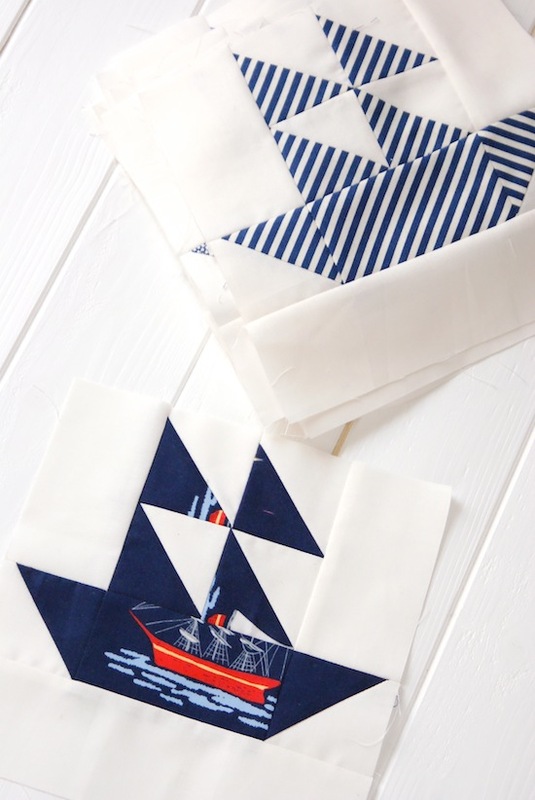 I need to make a little baby boy blue quilt. This is perfect! 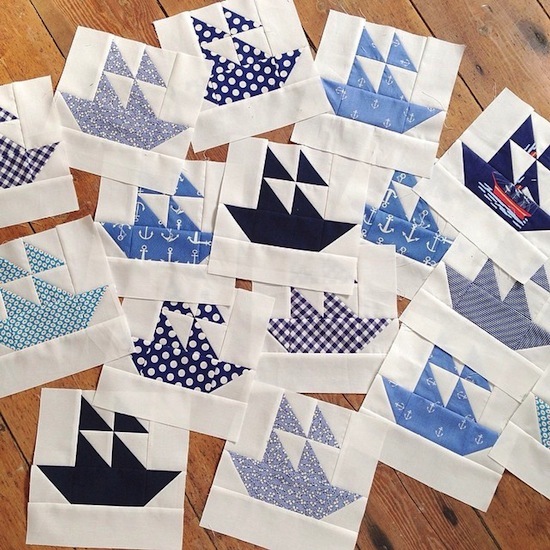 A-ha the mystery of the surge of nautical prints in the shop is now explained, they look really cool and fresh, it'll be interesting to see how they come together in your quilt. Your half square triangles are awesome Jessy! so lovely blocks! love the summer spirits!